للمسافرين الذين يرغبون أن يعيشوا كل ما تقدمه المدينة، Best Western Premier The Terrace Hotel Perth هو الخيار الأمثل. يسهل الوصول إلى هذا الفندق ذو 5 نجوم من المطار، فهو يبعد عنه مسافة 20.Km فقط. كما يمكن الوصول بسهولة إلى عدة معالم سياحية قريبة. 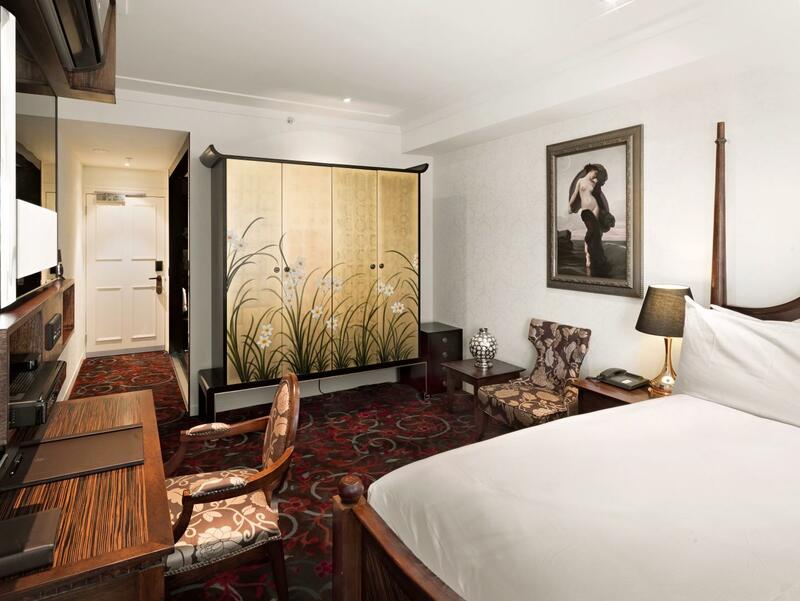 إن الخدمات التي يقدمها Best Western Premier The Terrace Hotel Perth تضمن للنزلاء إقامة مريحة. يمكن للنزلاء الاستمتاع بالميزات التالية: خدمة الغرف على مدار الساعة, واي فاي مجاني في جميع الغرف, مرافق مخصصة لذوي الاحتياجات الخاصة, تسجيل وصول/خروج سريع, تخزين الأمتعة أثناء إقامتهم في هذا المكان الرائع. ادخل إلى واحدة من الغرف 15 وتخلص من عناء نهار طويل بمساعدة مجموعة كبيرة من الخدمات كمثل تلفزيون بشاشة مسطحة, اتصال لاسلكي بالإنترنت, اتصال لاسلكي بشبكة الإنترنت (مجاني), غرف لغير المدخنين, مكيف هواء الموجودة في بعض الغرف. كما أن مجموعة الخدمات الواسعة الموجودة في الفندق لضمان راحتك تترك لك الكثير من الخيارات لقضاء وقتك أثناء فترة إقامتك. يشكل Best Western Premier The Terrace Hotel Perth بخدماته الراقية وموقعه الممتاز، قاعدة مثالية للاستمتاع بإقامتك في المدينة. Our overall stay in this hotel was very pleasant. The bed was comfortable and the pillows provided were of both hard and soft which was good to sleep on. The bathrobes provided were comfortable and different from other hotels. The room slippers were SO comfortable and nice on the feet. So tempted to bring them home! The toilet and bathroom was an open concept, which can be weird for some. However, it was a good size which meant no wet floor when going to the toilet. We ordered room service for dinner and the food was fantastic. No complaints there. There was complimentary wifi in the rooms but it was a little weak and keeps disconnecting. What I liked about the entertainment in the room is that they have foxtel, normal TV and apple TV. It was such a novelty to use the apple TV. One thing I dislike was that not all the channels listed on foxtel was available. It would be better if it was removed from the menu as it was slightly confusing. There was an ipad provided in the room which was great however, no charging cable was available and the ipad was not fully charged. The service was great. Breakfast menu was good. We had caramel waffles and eggs benedict. Caramel waffles were so good! Lovely stay. Will return again. I stumbled upon this gem when booking my stay in Perth. For years coming to Perth has been very underwhelming in terms of hotel experience but at overwhelming price levels. The hotel staff was wonderful and the room simply beautiful. Especially the bathroom was very impressive. Everything was very comfortable and enjoyable about my stay here. I will return on my next visit to Perth. Excellent! However, the housekeeping staff do not start until 2pm and our room was the last to be cleaned at 4:30pm. This was the time we returned for a rest before dinner that evening. So we had to wait. I decided to take my wife on a night away for her 30th birthday and wanted something different to make sure it was memorable. The Terrace isn't like a normal CBD hotel which is exactly what attracted me to it and is also the same reason we'll coming back. The room was incredible and the staff were all amazing. We had lunch at the restraunt and the food was great! By far the best hotel we have experienced in Perth to date. Loved this hotel. So beautiful. We were given an upgrade, which always enhances the experience, but this small hotel has a lovely vibe, great staff and a terrific location. Breakfast on the terrace was great and well priced. The front desk people was friendly when we arrived. They brought you to the room and explained the features in the room. The bathroom was amazing! Sadly I travelled with my mum so it was weird to have an open concept bathroom but it was simply heavenly to just relax in the tub. The bed was comfortable. There's plenty of channels on the tv for you to surf and Apple TV. An iPad was also available. It's a short walk to barrack St jetty, Elizabeth quay, the shopping area and hertz if you're renting a car. We stayed here for my husbands birthday for a little getaway. 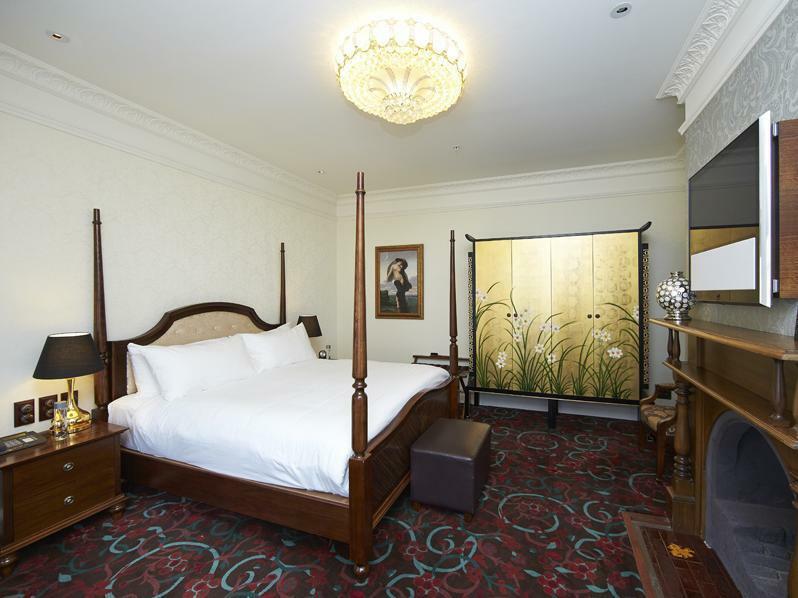 The room is beautiful with all amenities you would want and more, all staff were friendly and helpful. What a lovely and relaxing stay, we felt very spoilt. The terrace hotel well and truly exceeded all expectations. For a relatively small hotel the service was exceptional and catered to the majority of our needs. The only downside is in regards to parking as there are no specifically allocated bays even 1 bay for 5minute drop off bay for valet and at rush hour it is near impossible to park with access to the hotel. Over all our stay was pleasant and the service exceptional, with sufficient parking or drop off bay, this would be the perfect location. I loved our stay, The staff were amazing, friendly, helpful, Nothing Was too much for them and they go out of there way to accommodate all of your needs, the room was super clean with a mix of modern and classic furnishings, food is very good and good service and the hotel is in a great location, next time we are in Perth we will definitely be back, ps the B&O tv is class with great sound. The best "European style" room that I have ever stayed. There are 2 display fireplaces in the Terrace Suite room and a really huge bathtub. The toiletries are great but no toothbrush provided -- as expected in Australia hotels, but I know Shangri-La, Sydney does provide toothbrushes. If you love to have a balcony or terrace patio in your room to enjoy a cup of tea, do not choose this hotel. They have it, but an ugly construction sheet was what we had outside the balcony in Terrace Suite 4. Conclusion, I would highly recommend this hotel and their Terrace Suite if you don't mind the balcony. Since there is no fantastic view as you are in the city. The room was a little out of my price range but I gave myself a treat when in town for a show. You could see the difference in the quality of decor and supplies in the bar fridge. Service was very good. we booked this hotel for an overnight stay before heading down to the margaret river. 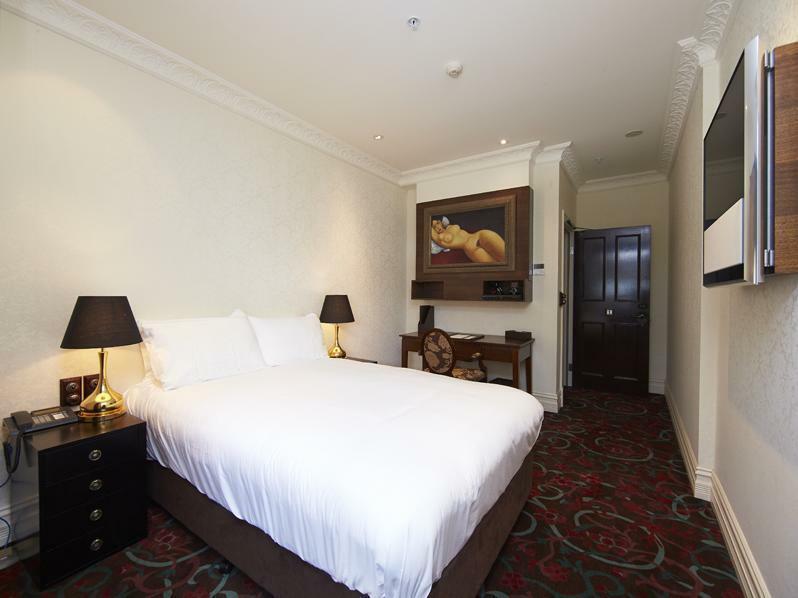 the hotel was well located for the bars, restaurants and shopping of the cbd, and was also close to kings park. the rooms were great (although the windows a little small), the staff friendly and helpful and the breakfasts delicious! 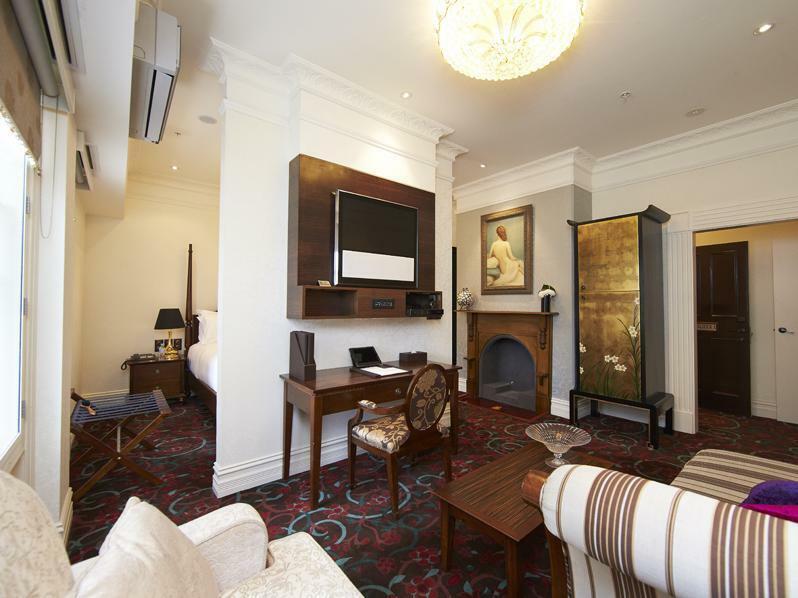 A lovely hotel hidden in the busy Perth CBD. My family of 6 stayed there for 4 nights. Other than the main entrance being a little awkward - coz it faces the traffic light junction, hence the taxi could not park directly in front of it - there is nothing else negative in my mind which I could recall of this unique hotel. Friendly and helpful staff, most comfortable bed I ever slept on, and proximity to the city centre...are among a few top considerations for me to label it as "a good hotel". And this is one of them. High tech room, equipped with Apple TV, state of the art remote controller, twice a day room keeping, air-conditioning unit in case the room is warm, Nespresso machine and dark chocolate to wind down my day in the evening. The rain shower water pressure is strong enough to give me a truly warm shower after a long day's travel. Towels are thick and fluffy, and they are kind enough to provide me with 4 towels, changed twice daily! The overall experience is like staying in a bungalow house, with a team of dedicated house keepers to keep you comfy at all time. 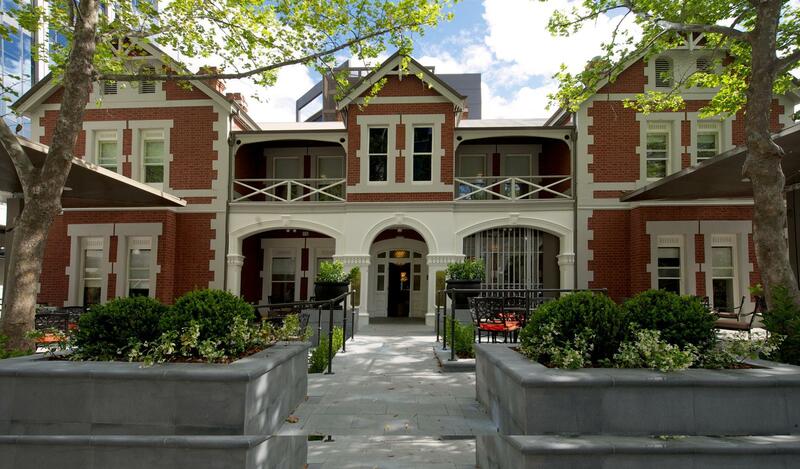 The price may be higher compared to other hotels in Perth CBD, but having stayed in other hotels before here as a tourist, I would highly recommend Best Western Premier Terrace Hotel, if you have not tried it out yourself. This booking was made for a couple on a birthday break. It was perfect as the couple did not have to worry about parking and everything was close to the hotel. Perfect little getaway hotel. 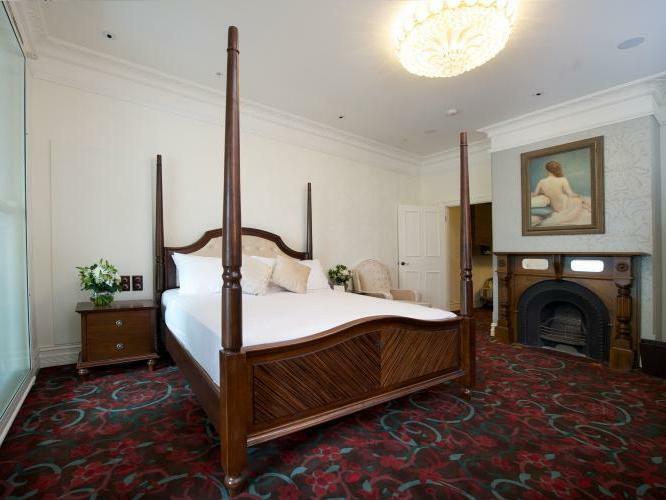 We had a delightful stay in a fabulous room with modern facilities and very accommodating staff looking after us.